I love Thanksgiving! 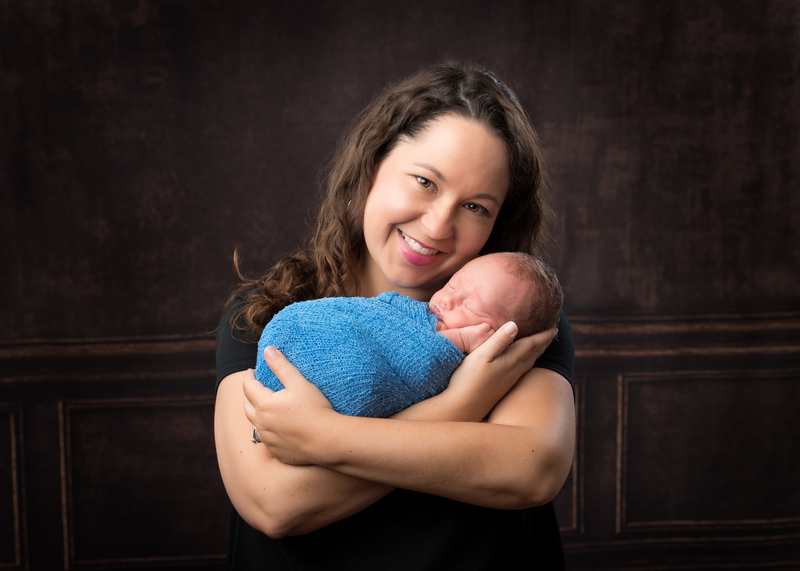 It is one of my favorite holidays and so this year I decided to celebrate it twice. My family is very traditional in what they want on the table for Turkey day. They want turkey, dressing, ‘taters, gravy, green beans, cranberry relish and rolls. I like all those items too, but sometimes it’s nice to be adventurous and try some new recipes. Trying them on Thanksgiving day might be too much of a gamble though. I decided that it would be a great idea to have a trial run where we could try out some new recipes and get a chance to celebrate two Turkey days. I invited some of my nearest and dearest friends who like to eat and asked them to bring a new or favorite Thanksgiving recipe. We ended up with a most delightful menu that was a combination of classic Thanksgiving fare and menu items with a new twist. I’ll start with the Turkey, since it is clearly the star of any Thanksgiving celebration. A number of years ago we tried brining our turkey in a salt brine overnight and we really couldn’t tell the different in flavor so we gave it up. When I discovered a brine mix at Fresh Market I thought I would try again. I have now used this brine mix for the last three of four turkeys I have prepared and I love it. 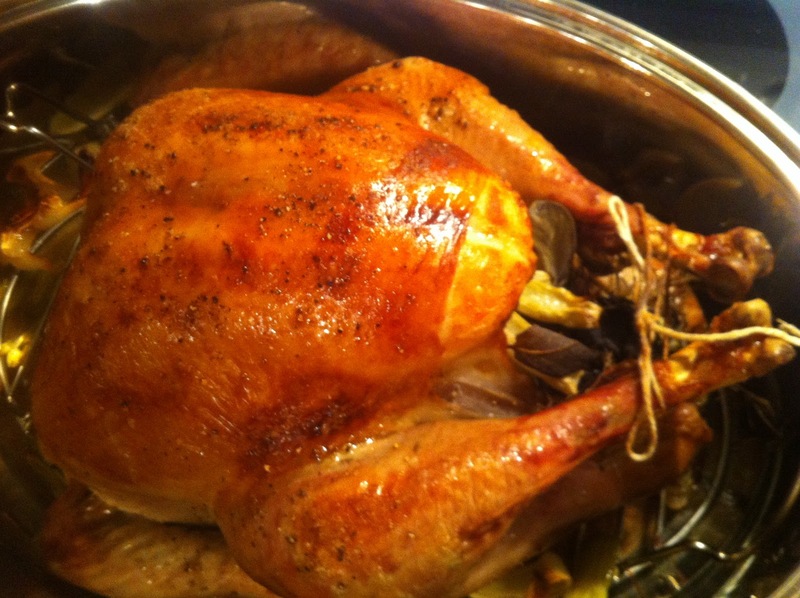 It gives the meat a great flavor and the turkey is always tender and juicy. 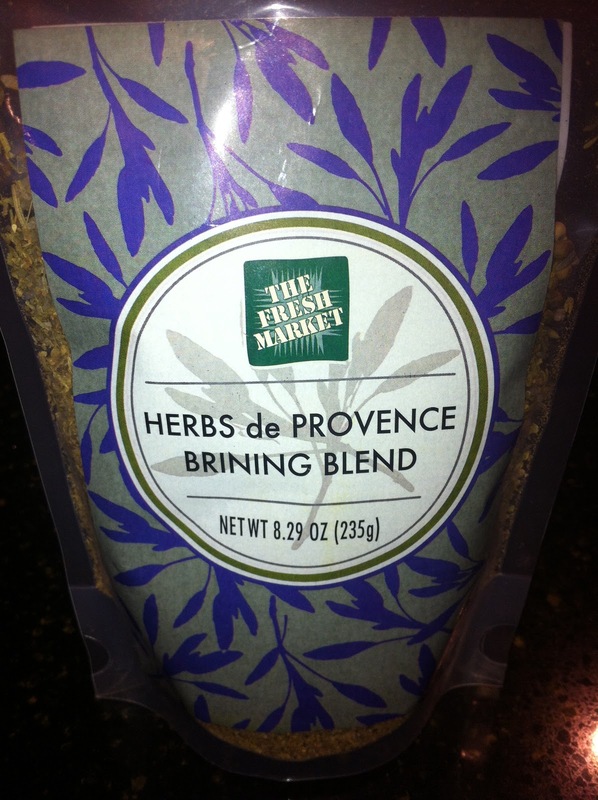 I typically use the classic brine mix, but since we were trying new things for our pre-turkey day party, I opted for the herbs de provence mix. 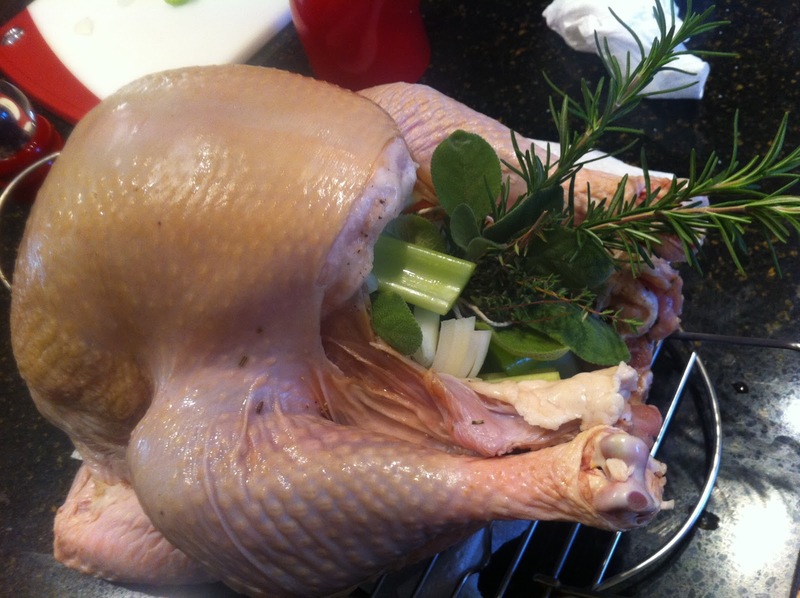 You can use a brining bag or just put the turkey in a giant pot. 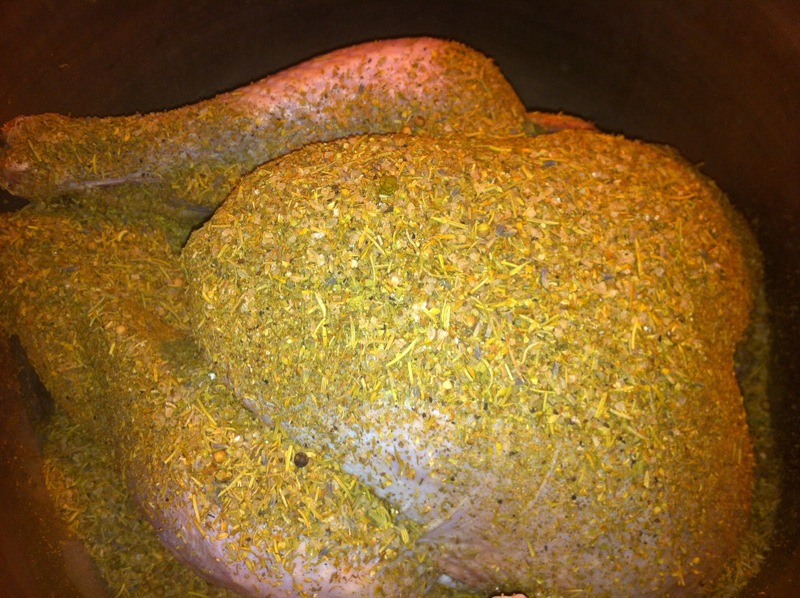 I didn’t use a bag this year just dumped Mr. Turkey in a big ole pot and dumped those wonderful herbs on top. After putting the brine mix into the bag or pot with the turkey, you add two cups of boiling water then immediately follow that with three cups of ice. Then you fill the rest of the pot up with water to cover the bird. 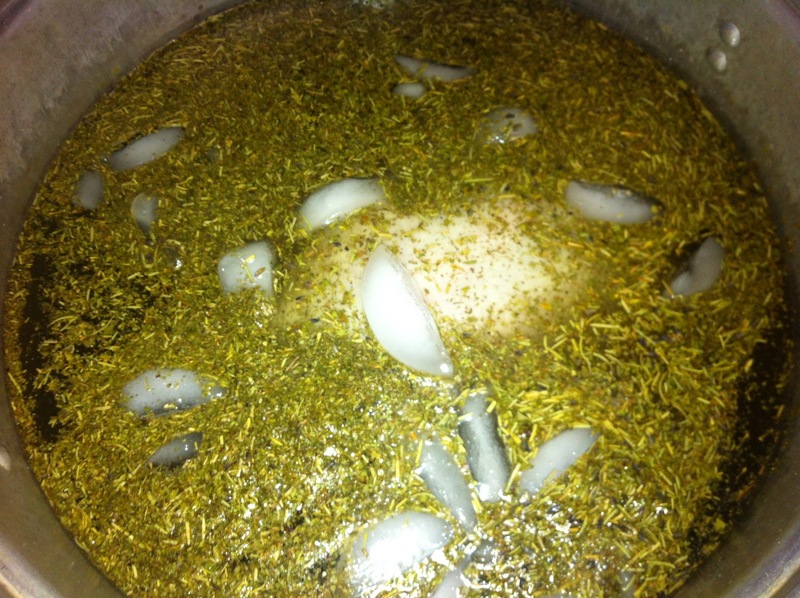 The turkey should stay in the brine mixture at least 12 hours. The directions also so to turn the bird at least once. I didn’t do that. So sue me! Now is the time to stuff the bird. 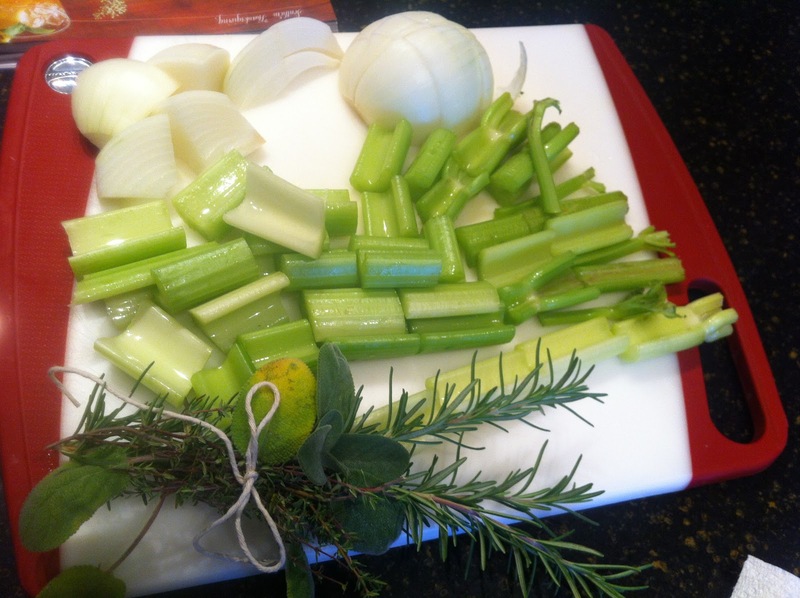 We keep it pretty simple with salt, pepper, chopped celery and onions inside the turkey. My wonderful godmother had some beautiful fresh herbs in her garden so I made a little bouquet of rosemary, sage and thyme to stuff in the turkey as well. After stuffing your aromatics inside the cavity of the turkey, it’s time to get real personal with the bird again. This part also kind of icks me out, but I do love turkey so I deal. Rubbing the turkey all over with butter and also rubbing some under the skin really helps give it that nice golden brown color. 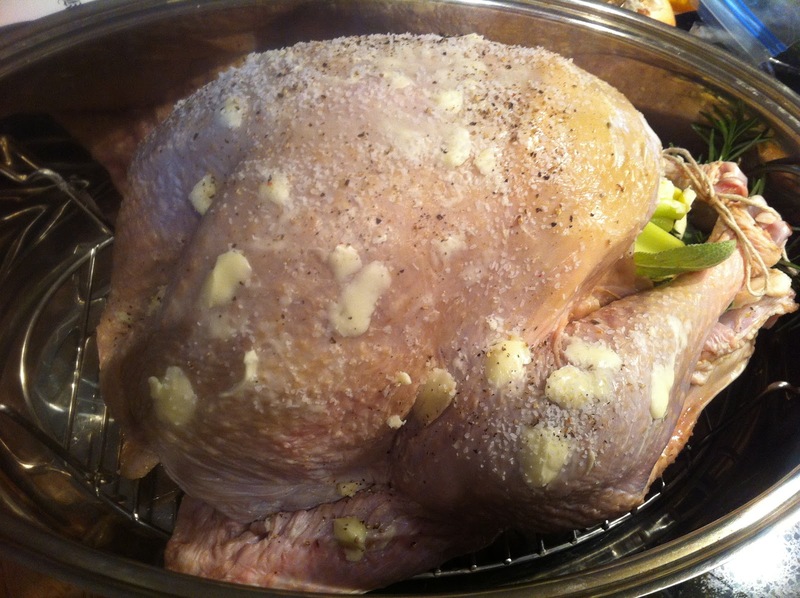 I then also coat the bird down with some kosher salt and pepper. And don’t forget to tuck his little wings under him and tie his legs together. That just makes it look purdy! Cooking time for turkey is based on how big your turkey is so go look that up on your own, ok. You should use a meat thermometer to determine if the turkey is done. The temp should be 180 degrees when the bird is done. And it will hopefully be beautiful and golden brown like this. . .
I’ll let you marinate on this a bit, but stay tuned for the rest of our great Thanksgiving recipes coming soon. . .